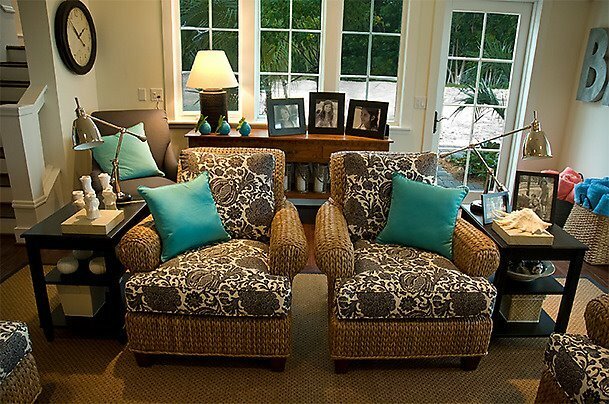 Her living room is huge and is seperated into several seating areas. 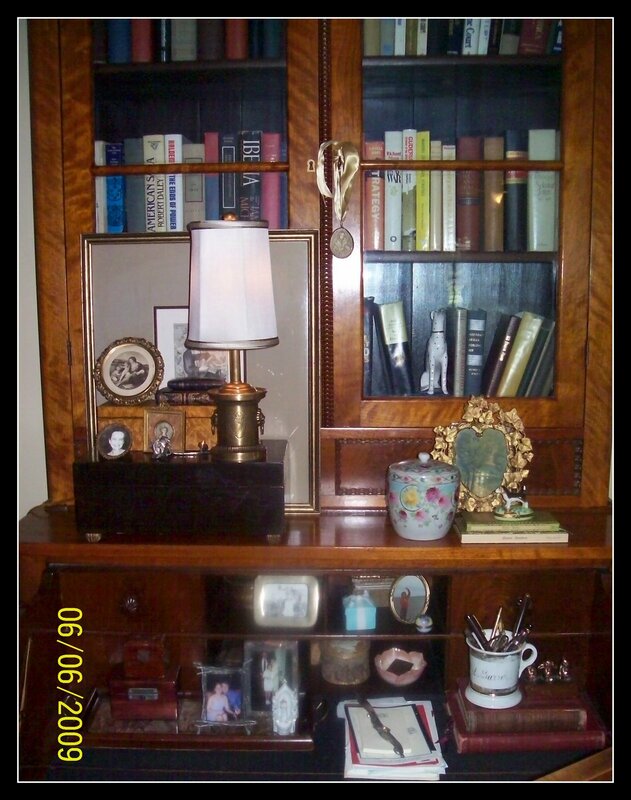 When you walk in from the foyer, you see this ornate secretary desk. 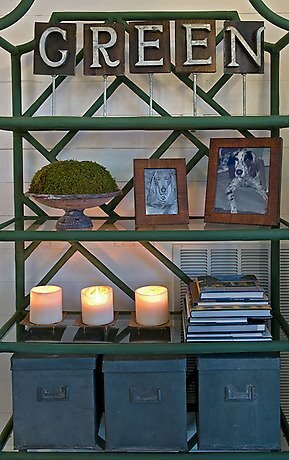 It’s filled with photos, books, and trinket boxes. 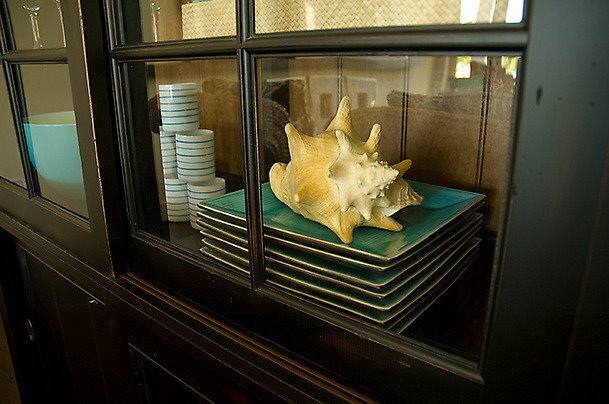 A ornate side table is stacked wtih books and a silver compote is filled with seashells. 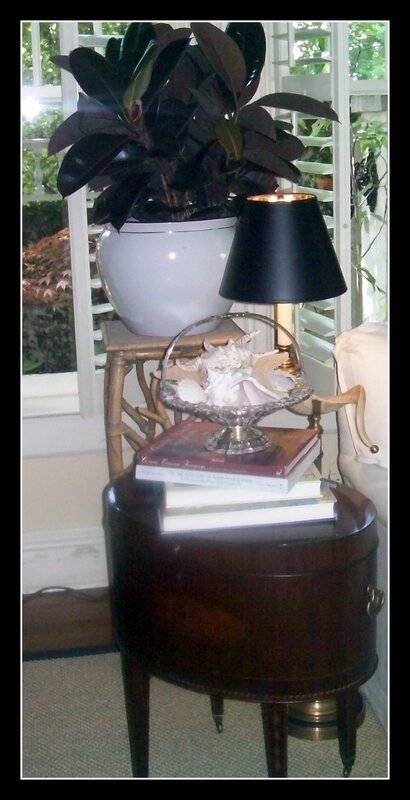 Look at that lamp…it looks like a ram’s horn. Notice she is always creating layers and layers of texture, height and color. I always say a flat table is a boring table! 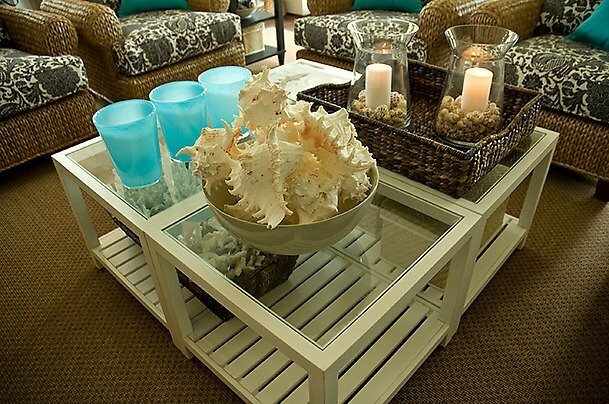 Here is a close up of ONE of the many coffee tables she has in her living room. 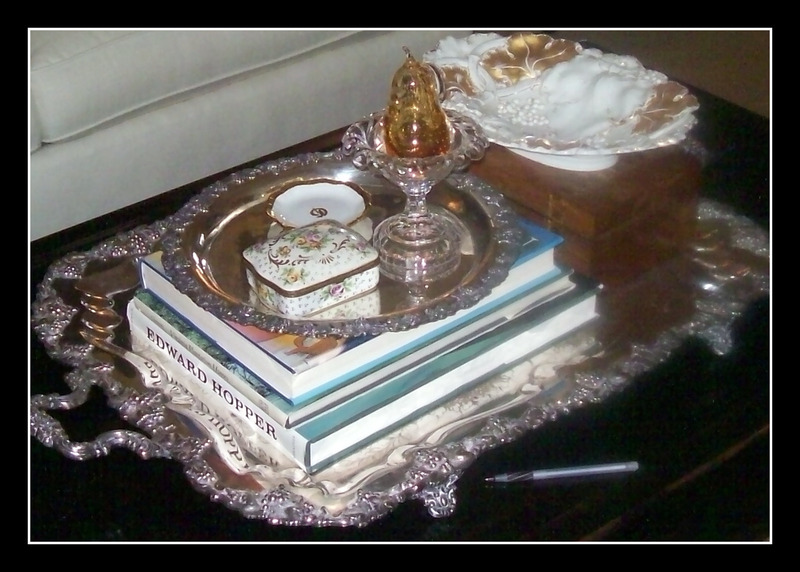 A gigantic ornate silver tray is once again stacked with books, another silver tray, tiny trinket boxes, a glass pear in setting in a glass footed dish. 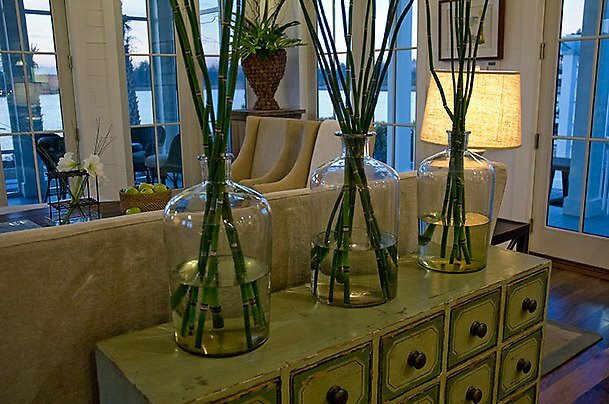 Then next to this is a wooden box with a decorative bowl with a raised design. 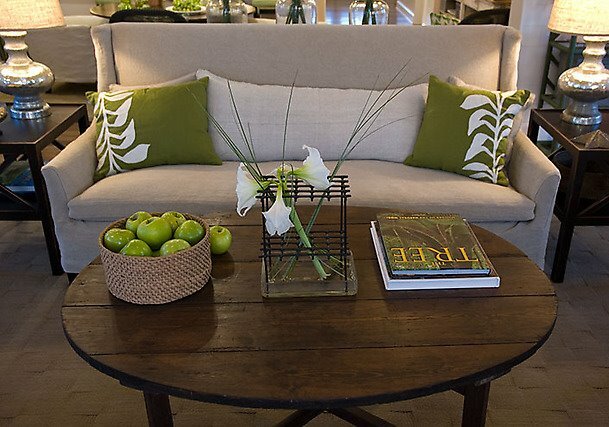 This dark stained coffee table looks like an indonesian trunk on legs…not sure what it really is though! 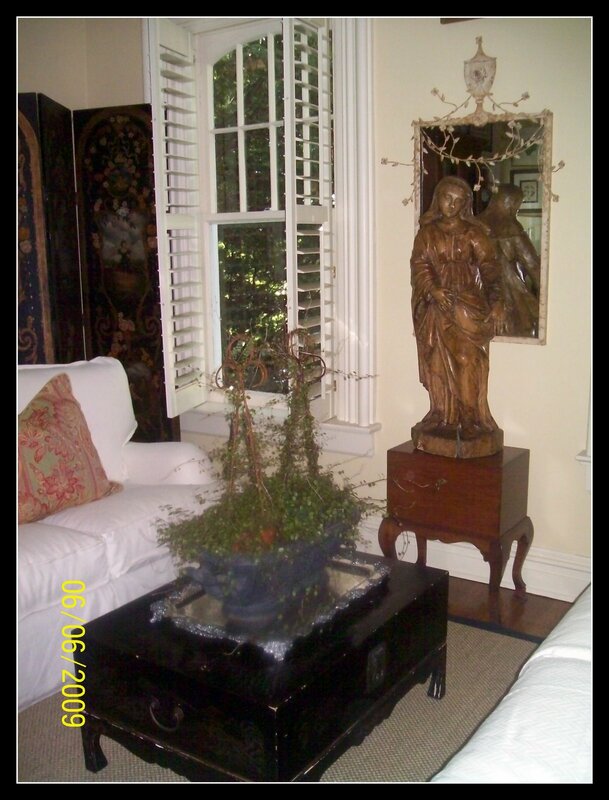 Then she layered on another silver tray, a large gray planter filled with twig topiaries and trailing vines….so devine! The vine reminded me of baby tears.